Few businesses can boast a 40 year track record of success much less continuing to operate that long. However, two local educators have done just that by teaching through travel with their annual 8th grade trip to Washington D.C. Registration has begun for the area’s yearly Spring Vacation student tour to the nation’s capital. The trip, which is open to local 8th grade students has become an “institution” according to many participants and is in its fifth decade of operation. The non-school activity is led by local teachers and has involved more than 17,500 students including a “second generation” of participants whose parents participated when they were students! Informational meetings have been scheduled in the Conejo during the coming weeks to provide an overview of the trip and answer questions parents may have. Each meeting lasts one hour and parents and students are welcome to attend either of the meetings. Tom Johnsen and Don Zimring were both social studies teachers at Lindero Canyon Middle School when they began taking the 8th grade class to Sacramento as a way to better engage students in their study of California history and government. “That trip proved to us the power that teaching through travel can have” Zimring said, “and the next logical step was to use our nation’s Capitol as a classroom”. “We have learned so much from the past years, that we have been able to continually ‘fine tune’ our itinerary to insure the best trip possible.” stated Johnsen. Their once a year activity grew to a once a year business – TravelEd - that now coordinates trips each year for nearly a dozen schools. Despite significant increases in airfares, the organizers have been able to keep the trip cost below what is charged for similar tours operated by other companies. The entire cost of the six day trip including airfare, lodging, all meals, evening activities, sightseeing and gratuities is $1,976.00. Applications are taken “On Line” at (TravelEd2DC.com). The trip is a non-school activity and is conducted during students’ Spring vacation. To this end, pre-trip classes are conducted to help the students better appreciate what they will see. “During the classes we review everything from the history of the city to contemporary issues before Congress,” Johnsen stated. “When they arrive, they aren’t just looking at buildings; rather they are entering a huge classroom geared for non-stop learning”. The trip is further enhanced by the talents of other area educators including Lou Lichtl, Phalba Thomas, Steve White, Darci Miller, Brian Edelman, and Mike Gennaro who, as tour leaders, add their special talents to help make the trip an extraordinary experience for the students. In keeping with the eighth grade state curriculum framework, the trip has a special focus on the Civil War through a visit to the battlefield, visitor center, and museum at Gettysburg. 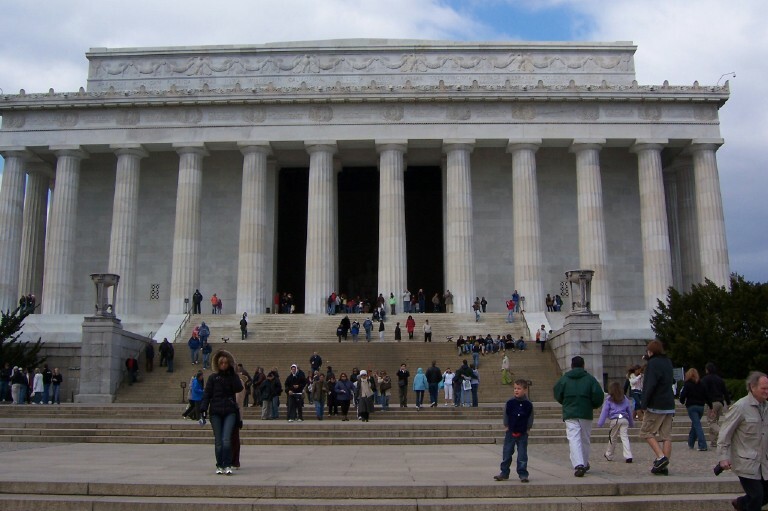 Additionally, extensive time is set aside to let the students explore the wonders of the Smithsonian Institute, including the new Museum of African American History and Culture and the most visited museum in the world, - the National Air and Space Museum. Teachers and school staff members who participate as chaperons agree that minute by minute planning is the key to the success of the trip. That success is underscored by the fact that the program is routinely “sold out” with lengthy waiting lists.